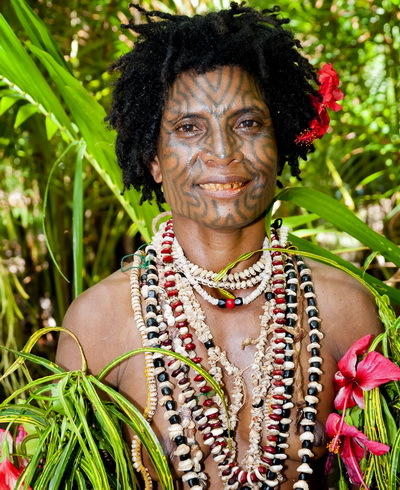 The Facial Tattoos of Oro Province… The beautiful tropical fiords of Cape Nelson offer some of the most spectacular scenery in Papua New Guinea. 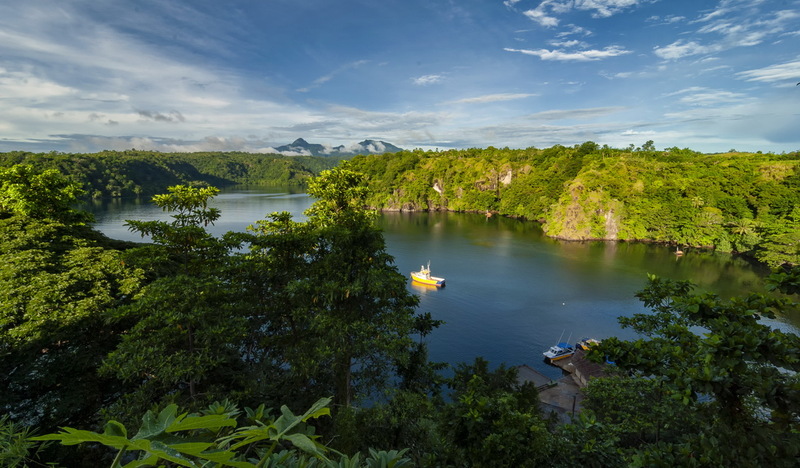 Combine those views with the excellent scuba diving on the isolated offshore reefs and it is easy to understand why the area draws visitors from all over the world. 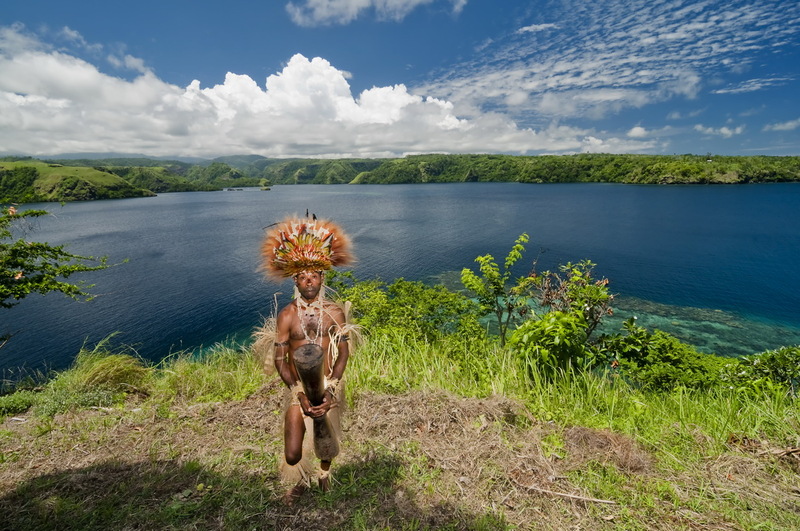 The Tufi Dive Resort, situated as it is on the headland overlooking the main fiord and onwards towards Mount Trafalgar, offers a wonderful location to enjoy this special part of PNG. 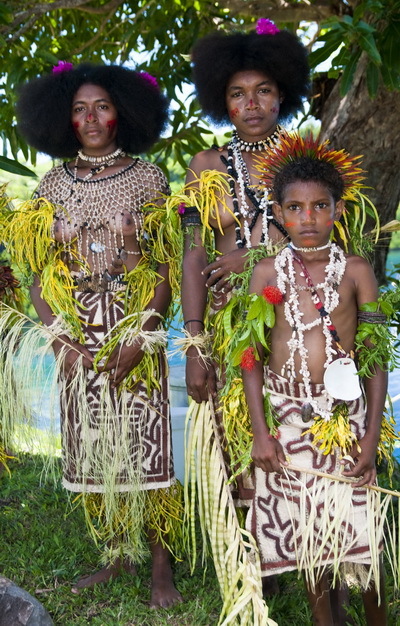 But no visit to Tufi should be considered complete without some exposure to the local villages and their culture. 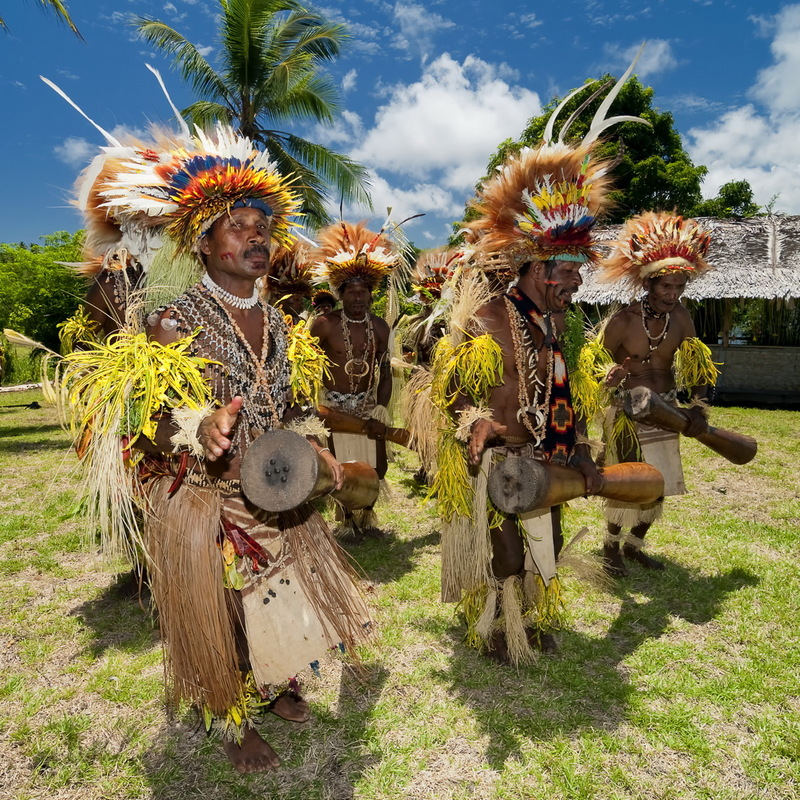 Either by attending one of the regular cultural demonstrations the resort organizes. 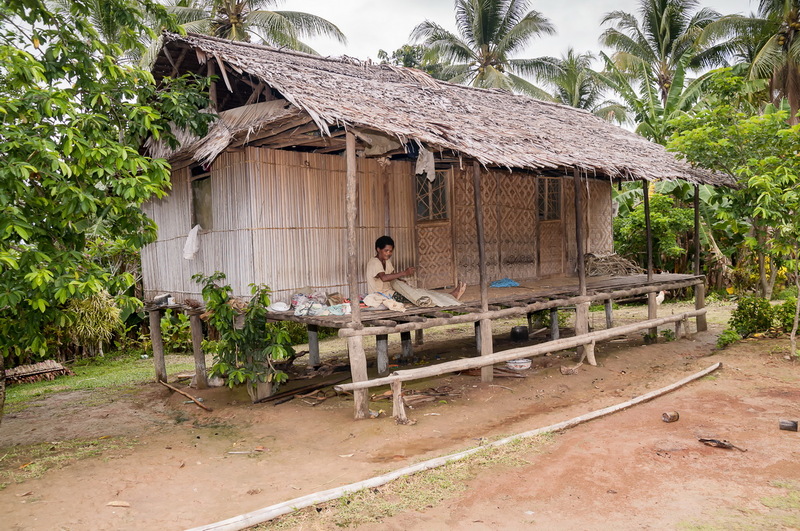 Or with a village homestay for a couple of days and if you have the time – do both! The homestays will take you right in to village life and provide a real taste of local traditions and customs. But it has to be said that they are not for everybody as there is no electricity or running water… So the cultural demonstrations are what most visitors opt for. The demonstrations are very well organized. And it is clear that the villager elders take great pride in their traditional practices such as sing-sings and sago harvesting. The unspoken undercurrent at such an event being that the elders see them as a great way to reinforce both the cultural and financial value of these traditions to the younger members of the community. From a cultural viewpoint, the demonstrations take the villagers away from their day-to-day subsistence way of life. Because a significant amount of time is required for the preparations. All their traditional dress and artifacts need to be ready. Plus they have to rehearse their sing-sing routines! The whole village seems to be involved in these preparations… And this reinforcement of time-honored practices has to be a beneficial thing. The resort has to pay a fee to a village to host the event. And they are rotated around the local communities in order that the benefits of tourism are shared as equally as possible. So financially, in a society where the opportunity to actually earn money for essentials such as school books and cooking oil are few and far between, this really is a big deal. 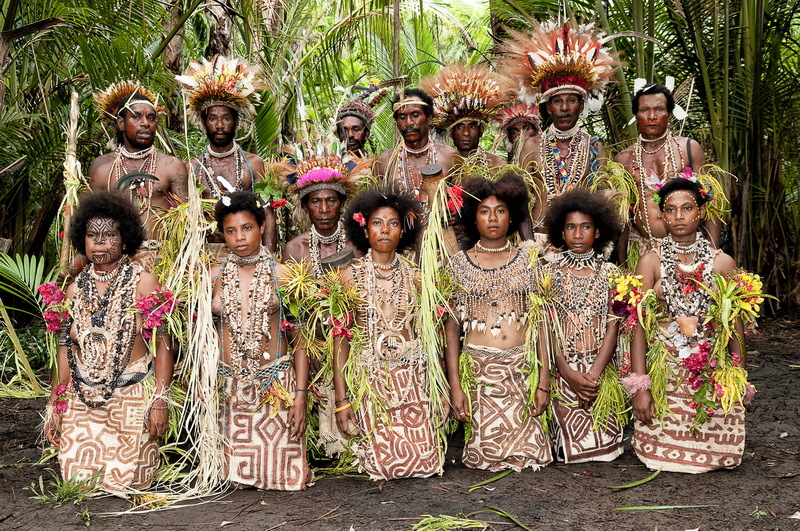 The Facial Tattoos of Oro Province – Visually Intriguing! One of the most visually intriguing things about the local villagers around Tufi are the facial tattoos that are worn by many of the women. 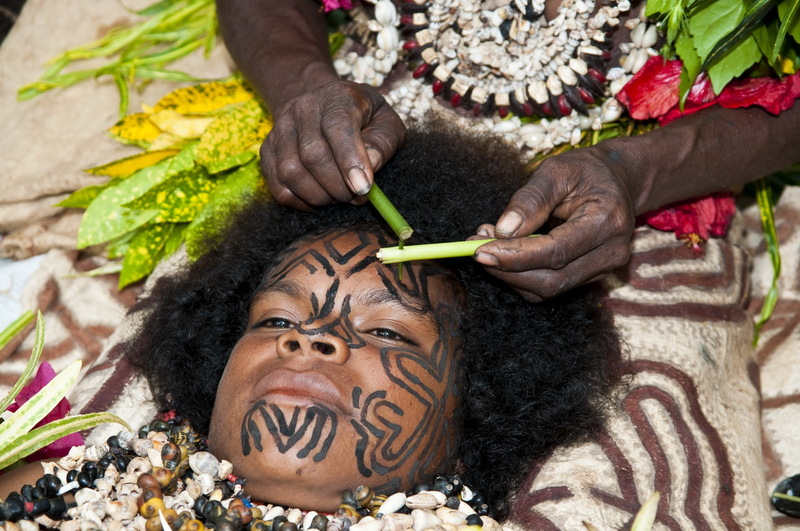 Facial and body tattooing are reported to have been widely practiced in coastal Papua at the time of first European contact. Quite why it stopped in some areas and continued in others is not clear. But the probability is that the colonial missionaries frowned upon the practice and tried to stop it wherever they could. Many of these earlier early tattoo patterns were said to have been quite simple. But the “women of Tufi” were known for their elaborate and intricate designs. 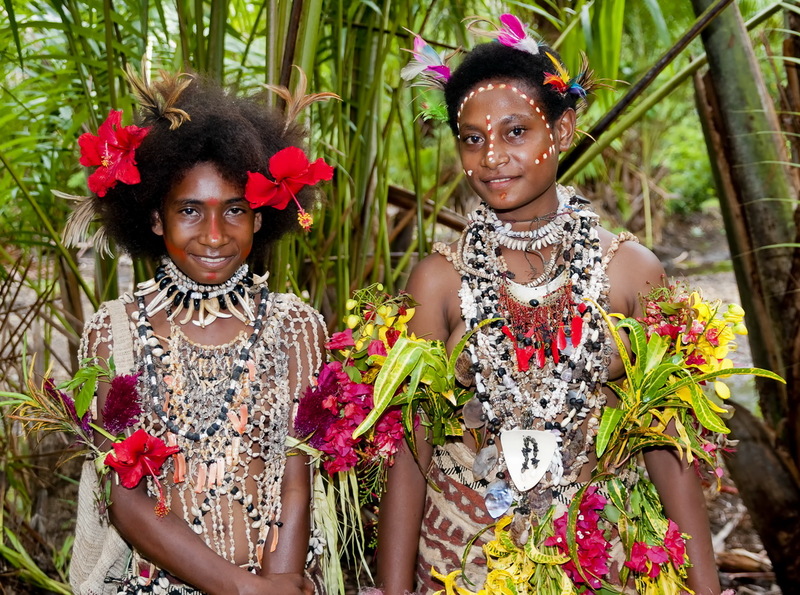 The facial tattoos of Oro Province are made when a girl reaches her full maturity at around 18 years of age. They are a very visible indication of that “coming of age” and that she is now ready for marriage. The process of applying the tattoos is a long and quite painful one… It involves a technique that is only practiced by certain women in the village. Who have been taught that technique by their mothers and grandmothers. The completed facial tattoo can take up to 2 months because it is applied in sections on a daily basis. Which gives previously completed areas of the face time to heal. During that time the girl lives with the tattooists away from the main village. In a special hut to shield her from the males in the village – particularly the young ones… Thus avoiding any embarrassment from the inevitable swelling of her face as the painful process is followed. The actual tattooing is done in each morning for a couple of hours so that the girl can recover for the rest of the day… And the process is repeated until the right amount of ink penetration is achieved and the tattooist is satisfied with the result. The black ink used for the tattoos is made by mixing ground charcoal with water. And then the pattern is painted on the girl’s face using the stalk of a taro plant. Finally a lemon plant thorn is used as a needle to pierce the skin. Which allows the ink to penetrate and permanently stain the flesh. The actual patterns are quite specific. With an overall pattern that identifies the Korafe tribe – the main tribe of the Cape Nelson area. And variations for the numerous clans (Kandoro, Fiyogha and Tawairi etc) that make up the main tribe. The completion of the tattooing is followed by a big celebration when the girl comes back to the village and the tattooist is presented with presents from the girl’s parents in recognition of the service provided. Once the tattooing & the celebration is over, the girl is ready for marriage and the boy who has courted her now to prove to her parents that he is of good character and worthy of their daughter. This typically means that he will make a new vegetable garden for the parents. Or alternatively build them a new canoe or house to demonstrate his skills as a man. Overall though it is a big test for him. If satisfied, the parents delegate the girl’s initiation to her uncle – typically the mother’s brother, whereby the uncle makes all the preparations for the actual wedding, which involves a major celebration & feast in the village. After the marriage the girl is evaluated by the boy’s parents on her worthiness as a wife. Which is done so that his parents can settle the “bride price” to be paid. The concept being that evaluating the boy and girl’s overall worthiness allows the parents to properly decide the right price to be paid by the boy to the girl’s parents. You can download the full article on the facial tattoos of Oro Province that was published recently in Air Nuigini’s in-flight magazine Paradise.